Please check our Facebook Events listing for most complete and up-to-date information on our forthcoming events. Andrew Finn Magill is from the City of Asheville in North Carolina. Raised in an Irish musical household, Andrew Finn the Fiddler Magill grew up studying with many of the worlds best traditional American and Irish fiddlers at The Swannanoa Gathering music workshops in Asheville, North Carolina . He has learned from and now plays with the best in the genre. On Branches you can hear a new musical voice emerging. I’m gonna keep listening for Finn Magill. Finn has built his career on Irish music, having worked with many musicians including John Doyle, Open the Door for Three, and The Paul McKenna Band. Between these collaborations and others he has performed at Milwaukee Irish Fest, Celtic Connections, Olympia Hall in Paris, France, and Disneyworld. In 2017 Seán was commissioned to write a piece for the highly respected New Voices concert series at the Celtic Connections festival held in Glasgow. He is currently in high demand as a music teacher and session musician, playing with a variety of acts across Scotland. It was through touring the USA together with The Paul McKenna Band that Finn and Seán met. Since recording on Finns 2016 solo album Branches they have continued to play and write together. 2018 saw their first duo performance at the Celtic Connections festival in Glasgow. Finn and Seán play a mixture of Scottish, Irish and Americana music and song as well as self penned material influenced by Brazilian, Jazz and many other genres. It’s great to welcome back Mairearad and Anna ith their fourth album Farran, multi-instrumentalists Mairearad Green and Anna Massie once again prove that they are one of the most talented musical collaborations in the traditional folk music world. 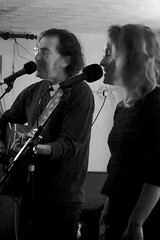 Building on the deliberate simplicity of their eponymous first album in 2009, the more complex arrangements of Doubling, and their first inclusions of songs in Best Day, in their latest album Farran, Green and Massie show that on their ongoing musical journey they follow no one’s map but their own and that they are the best of travel companions. If anybody hasn’t heard them before, check them out at https://www.mairearadandanna.com/video/. Between them they have been at the heart of the Scottish Music scene and over the last 20 years have toured the world both with their own groups and performing as guest artists with a vast array of top performers, clocking up over 100 album appearances with names as diverse as Gaelic Superstar Julie Fowlis, Alt-Country legend Bonnie Prince Billy, Classic Crooner Tony Christie and World Music/ Jazz Fusion impresario Arnaud Ciapolino. Check them out at https://eilidhshawrossmartin.com/word. We are really pleased to welcome back Orcadian, Ivan Drever. Ivan’s live set features songs chosen from all his albums alongside several as yet unreleased new songs. Now resident in Norway, Ivan regularly plays live. Check him out at https://uk.video.search.yahoo.com/search/video;_ylt=AwrP4k_U2ZdcdV0A2DEM34lQ;_ylu=X3oDMTB0ZTgxN3Q0BGNvbG8DaXIyBHBvcwMxBHZ0aWQDBHNlYwNwaXZz?p=ivan+drever&fr2=piv-web&fr=mcafee#id=21&vid=f23e50a1f1e3a1ecb230d34509dbe00f&action=view. Stewart & Frank are excited to be heading out on tour again, taking in some of their favourite venues. With music rooted in the traditions of Northumberland and the Scottish borders their engaging approach exemplifies the very best of partnerships between fiddle and guitar. Fiddle virtuoso Stewart Hardy and superb Scottish guitarist & piper Frank McLaughlin possess a rare musical kinship, holding listeners spellbound with their intriguing melodic interplay. As a duo they perform traditional and contemporary tunes stripped back to the bare essentials of fiddle and guitar. Their long-term collaboration has led to a deep and instinctive understanding of each other’s musical interpretations resulting in uplifting and joyous performances. John Watterson, an adopted Yorkshireman, was born and grew up on the Isle of Man, which is where he first saw and met Jake Thackray in 1975. He recalls a performance at the local folk club, which had the audience in stitches and also a chat with a very modest and self-deprecating Jake at the interval – ‘a big man and a huge talent, clearly embarrassed by the standing ovation, Jake preferred to have a pint at the bar with the punters and didn’t really see what the fuss was about’. It’s great to welcome back Jim Malcolm, along with his wife Susie. At last – the duet album from Jim and Susie Malcolm. Spring Will Follow On is a selection of traditional and more contemporary songs we love, set alongside two new compositions from Jim based on popular fiddle tunes. A cheerful collection! If you haven’t heard Jim before, check him out at http://www.jimmalcolm.com/video/. 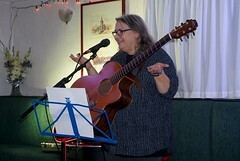 Findlay is a weel kent face at the Kirkcaldy Acoustic Music Club and Megan Henwood has also appeared previously with Findlay with his Bar Room Mountaineers. Megan Henwood is an artist who calls on the elements in her songwriting. The distinguished English singer-songwriter is far too self-deprecating to describe herself as a force of nature but her third album ‘River’ reaffirms her unique ability to create roots music of beguiling purity from what’s around her. Findlay Napier is one of the finest songwriters and storytellers of the contemporary Scottish folk scene and has an insurgent talent that comes on like a Caledonian Loudon Wainwright. His most recent album ‘Glasgow’ captures the timeless essence of one of the world’s great cities, distilled to artful acoustic guitar and Napier’s remarkable voice. Jake Thackray was a singer-songwriter in the French tradition, a “chansonnier” whose songs are nevertheless convincingly and idiosyncratically English. He spent four years in France as a teacher where the likes of Jaques Brel and his particular hero Georges Brassens made their indelible mark. The influence of their songs and story telling propelled Jake towards his own writing and singing style. But despite this Gallic background his songs are no mere copies; they are firmly and recognisably rooted in the English countryside, character and language. They are also painfully funny, sad, tragic, rude, irreverent, incisive and happy, and often enough all these things at the same time. In short, they are unique. 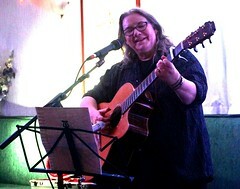 Back home in Leeds and performing in folk clubs led on to a career spanning nearly thirty years during which he made over 1,000 radio and TV appearances. Your turn to share a song, a poem or a tune. Festive folk from Dave Spittal, John Blackwood, Brian McArthur & Alex MacKenzie. The Hoose Baund features Bob Aimer (Scalded Cats), Lawrie MacMillan (Ray Wilson Band), Sandie Forbes (Callanish) & Fiona Forbes ( Sangsters) with guest appearances from Davie Craig, Ronnie Reid and surprise guests. 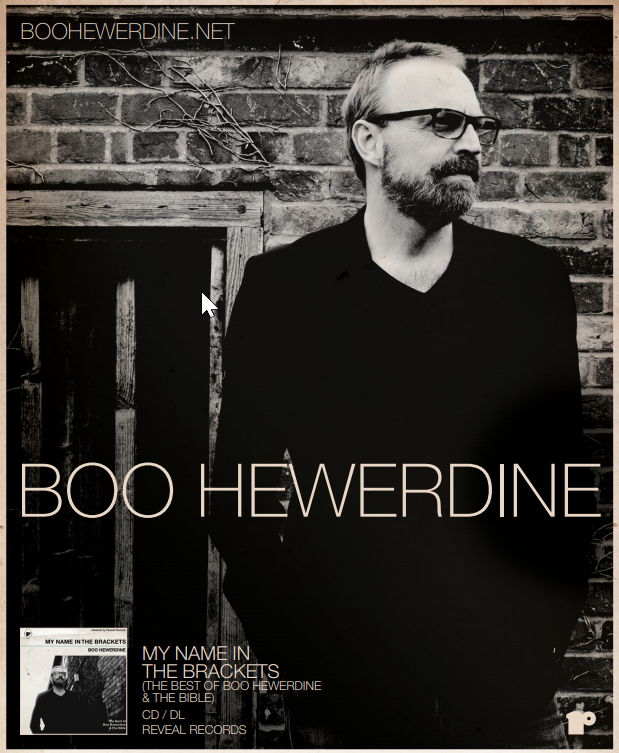 The band Includes Jonny Hardie (Old Blind Dogs) and Charlie McKerron (Capercaillie). Jenny Sturgeon has been nominated in Composer of the Year in the MG ALBA Scots Trad Music Awards 2018. One of the best songwriters and performers. World renowned. Writes and plays for Eddi Reader. And a superb guitarist. Bring an instrument, a story, a one or just join the guid craic. Eilidh’s stunning voice beautifully renders both classic folk songs and original material. With a love for traditional and contemporary folk alike, underpinned by a passion for Burns, Eilidh has made a considerable impression on the British and European folk scenes. Her vocal style, with shades of a Caledonian Joni Mitchell, won her the Danny Kyle Award at the 2004 Celtic Connections festival. Her first solo gig was at the Star Folk Club in Glasgow and since then has gone on to perform at some of the best venues in the country and has shared the stage with some of the best and most well known musicians of today. Scottish singer-songwriter, Martha L. Healy was raised on a diet of Americana music, before she knew what that even meant. The Eagles, The Traveling Wilburys and folk heroes, The Dubliners were all staples of the Healy family vinyl collection. The collection also included music by Patsy Cline, Carole King and anything remotely Motown. Promoting her brand new album ‘Keep The Flame Alight’, recorded in Nashville, but influenced by Martha’s Celtic roots, Martha provides a fresh take on some classic themes: the need to leave somewhere to help find your place in the world; the ache of an unfulfilled love; the complexity of family and friendships and the need to live your own dreams. She also explores how being a woman in the 21st century is not without its fair share of pressures and demands. David Latto is a singer songwriter from Kirkcaldy, Scotland. David’s honest and engaging voice has earned comparisons to Jackson Browne and Ryan Adams. He has always found inspiration in American music and weaves threads of country, rock and pop into his own work. He has spent time in Nashville writing for other artists and he plans to return there next year to record his first solo album. Take a Swedish singer-songwriter, a Danish guitar virtuoso and a Scots singer and multi-intrumentalist. You’ll be richly entertained by the result: Swedish lyrical ballads, world-class guitar instrumentals and Scots songs, all with a Scandinavian touch. Explorers of Ozark Music. Fiddle & banjo duet and Brushy Creek String Band. Betse is a veteran of the club as a one time member of The Wilders. Their music is familiar… and totally different; a fiddle and banjo duo with a sense of adventure. Old time music and song celebrated alongside inventive new compositions: a passion for the depth of tradition and a look to new creative paths. 6 international CD releases, 4 videos on CMT Canada, various film / tv placements, and numerous nominations and awards (including 2010 Hamilton Music Awards), have earned Tia a respect in the music industry and a global fan base that continues to stretch beyond demographics. Check them out at http://redtailring.com/video/. 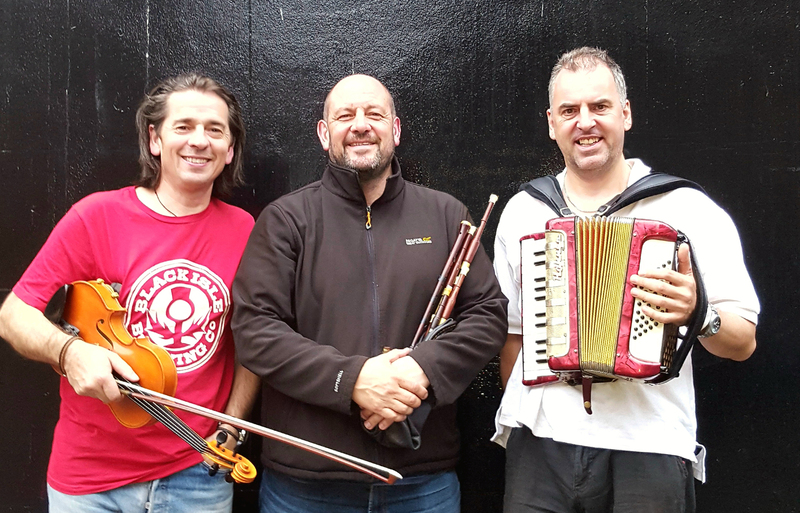 Kinrick are a 2/3/4 piece folk band from Fife, Scotland. Dave, Alex, Brian and John sing a mix of modern, trad and self penned songs. It’s always a fab night with Jim Hyndman and Bob Aimer, no doubt and friends! 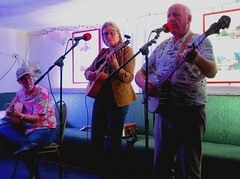 Great bluegrass, fab music, songs and stories. A great way to escape from the business of Christmas! Equal parts fast-paced and soulful, 5-piece modern-folk Americana act, The Way Down Wanderers, draw listeners in with energy, originality and soulful generosity. Playing, performing and writing together for just 3 short years, the Wanderers have built an enthusiastic and fast-growing following. Youthful and professionally trained, these young mencaptivate audiences with soaring instrumentals, foot stomping sing-alongs and a lively stage show and have created a buzz for themselves with their unplugged, off-stage encores and propensity for performing self-titled, “restSTOMPS” – free acoustic sets at rest & truck stops along their tour routes. They’ve already won a host of awards, too many to list here! Austin Thompson – guitar, lead & harmony vocals. Collin Krause – Collin plays mandolin, fiddle and sings lead and harmony vocals for the band. John Williams – Upright bass and vocals. 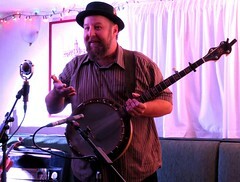 Travis Kowalsky – Banjo & fiddle. Check them out at https://thewaydownwanderers.com/video. 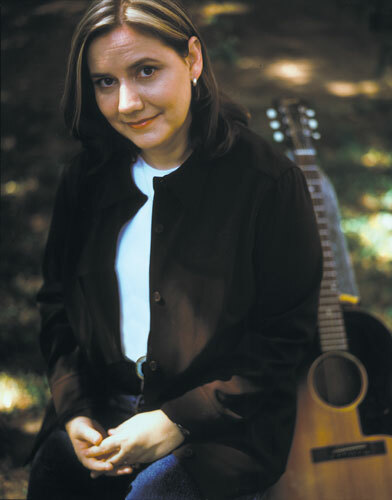 Marty is an award winning singer, songwriter whose first memory is singing harmony while sitting on her mother’s lap in the hills of Appalachia. Born with folk and country music in her blood, she comes from a long line of singers, musicians and luthiers from the hills of Eastern Kentucky and West Virginia. A self taught guitarist, Marty started writing songs at an early age. She has shared the stage with Ricky Lee Skaggs and Merle Travis and after two successful tours in Europe, Marty is based part of the year in Bordeaux, France. This Texas troubadour pours out her soul in every song and transports her audience on an authentic southern musical journey. She is the real deal! 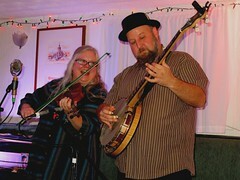 With roots in Portland, Oregon and Liverpool, England The Horsenecks play a dynamic mix of American roots music that they bring to life with the high-energy performance of a group of people who love the music they play. Top-shelf musicianship and a love of the lost art of Old Time music are swiftly making them a well-loved and highly respected staple in the traditional music scenes in the US and the UK. Laura Cortese and the Dance Cards have a vision for their band’s sound: bold and elegant, schooled in the lyrical rituals of folk music and backed by grooves that alternately inspire Cajun two-stepping and rock-n-roll hip swagger. 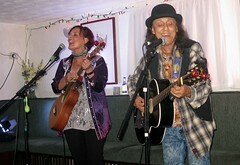 Connla are an exciting new band with strong traditional roots as well as influences from across the globe. Their sensitive and innovative arrangements of traditional and modern folk songs and tunes have earned them praise across the folk community. Having met whilst studying Music at Ulster University, they quickly began performing together and developing friendships. Judy lifts the spirit and entertains with splendid traditional ballads and songs from a huge and varied Anglo-American repertoire. Her clear and engaging unaccompanied presentation combine with her joy of singing to delight all listeners. A band who met several years ago in Newtongrange and made their debut appearance in 2010 at the Acoustic Music Centre, as part of the Edinburgh Festival Fringe. That debut appearance at the Fringe sold out. That entrance into the world’s biggest arts festival came only four years after they met at Newtongrange Folk Club. The four-piece folk band, who play traditional and contemporary material also completed their debut album called “Quiet Joys”. Fiona Forbes, Sandie Forbes and Sandy Stanage – need very little introduction!